The Granthams famously reside at Downton Abbey (Highclere Castle), Russell Crowe has explored the depths of Alice Holt Forest (Gladiator) and George Clooney has got to grips with army life in The Monuments Men (Bramley Camp). 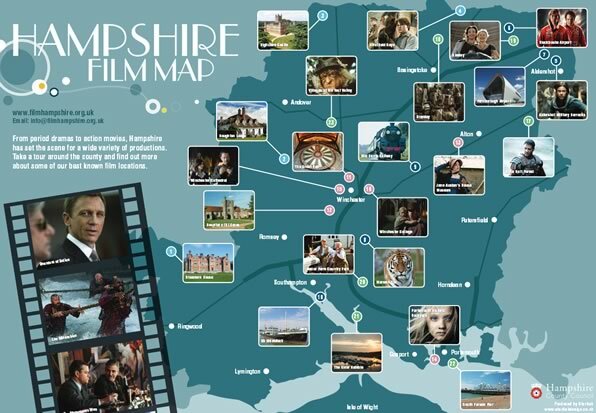 From period dramas, comedies and thrillers to documentaries, reality TV and news features, find out what's been shot in Hampshire over the years. 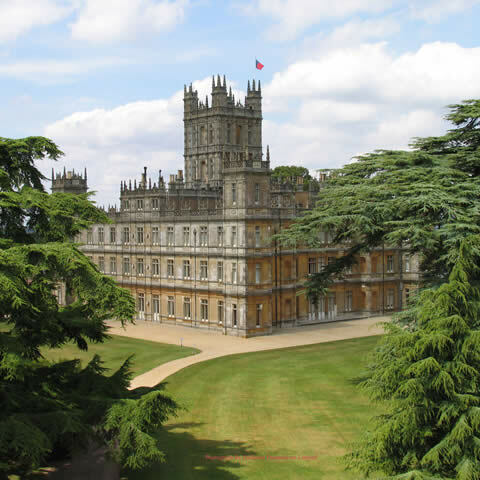 Popular ITV series Downton Abbey was filmed in Hampshire at the Highclere Castle estate to the north of the county. The drama follows the aristocratic Crawley family and their servants at a fictional Yorkshire estate called Downton Abbey (Highclere Castle). The series was first set in the post-Edwardian era and charts the trials and tribulations of its characters through to the 1920s. Having spent around fifty days a year shooting Downton Abbey at Hampshire's Highclere Castle, I have seen what the county has to offer. With its good transport links, spectacular scenery and great locations it really is a joy to film in the area. Highclere Castle is the home of Lord and Lady Carnarvon, and is located on the Hampshire/Berkshire border. The estate spans 1000 acres and has been home to the Carnarvon family since 1679. The Castle was transformed in to a hospital during the First World War and was briefly a home for evacuee children during the Second World War. In 1922 the 5th Earl of Carnarvon discovered Tutankhamun’s tomb and today visitors can learn more about this exciting discovery at Highclere’s Egyptian Exhibition. The Castle is open to visitors at selected times of the year. Our film map showcases some of our best known locations, many of which you can visit. Discover the history of Winchester's Great Hall where Wolf Hall, The Hollow Crown and The Riot Club were filmed. Immerse yourself in Portsmouth Historic Dockyard's naval past, the location for the opening scenes of Les Miserables. Or wander deep in to the woods of Alice Holt Forest, where Russell Crowe once filmed Gladiator.